Heat gas or charcoal grill to medium-high heat. Tear off 2 (12-inch) lengths Reynolds Wrap® Heavy Duty Foil to make foil packets. 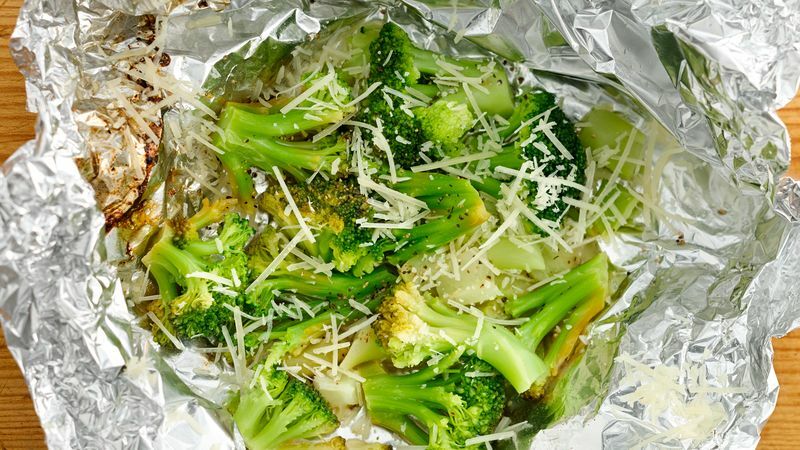 Place half the broccoli in center of each piece of foil. Drizzle with lemon juice, olive oil and salt and pepper. Bring up 2 sides of foil so edges meet. Seal edges, making tight 1/2-inch fold; fold again, allowing space on sides for heat circulation and expansion. Fold other sides to seal. 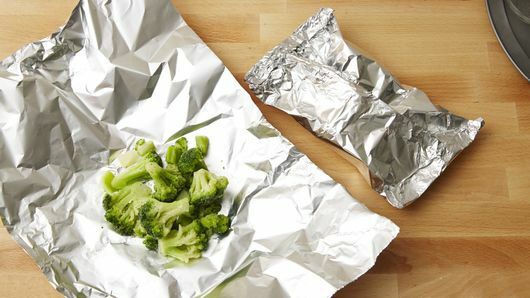 Place foil packets on grill over indirect heat. Cover grill; cook 15 to 25 minutes or until broccoli is heated through. 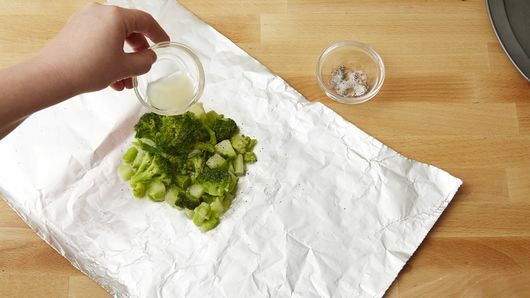 Carefully open foil packs, and sprinkle broccoli with Parmesan cheese. Serve immediately. Top with shredded Cheddar cheese in place of the Parmesan for a creamy, gooey topper. Grillmaster tip: When the packet is empty, crumple foil into a ball and use it to scrape grill grates clean. More smart foil tips.